To be sure you have the most current firmware with all the latest features and performance enhancements, load this firmware onto your HyperFire 2 cameras. Go to the "Camera Info" option on your camera and see which version of firmware is currently loaded on your camera. The top line of the Camera Info display will look something like this: V:2018.08.24a. 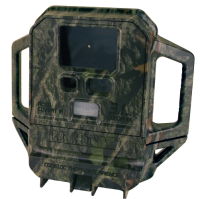 Click Here to download the HF2CAM.fw1 firmware file to your computer. Locate the file on your computer and copy it to a blank SD card. With the camera turned OFF... Insert the SD card into your camera. Turn the camera ON and it will automatically update itself. While updating, the camera will flash the walktest LED rapidly and display "UPDATING" on the LCD panel for a few seconds. After updating, the camera will delete the file and boot like normal. Repeat Steps 2-4 for each camera you need to update. This update for UltraFire cameras now includes support for SD cards up to 256GB. 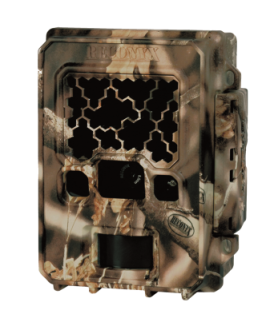 It includes additional options for longer videos, dynamic video length, and adds full support for our Professional Series cameras as well. Power on your UltraFire camera. Scroll to the "Advanced" menu and choose the "Display Version Information" option. If the items do not match the versions listed below, then you should apply the update. Make sure the file names appear exactly as above. Turn the camera ON and follow the prompts to apply the firmware update. The camera will go through several steps during this upda: first the display will give you status info, then the key-pad will pulse, then flash, then pulse some more. This process may take a couple of minutes to complete. DO NOT turn the camera off or remove the batteries during this process. When complete, the camera will boot to the normal menu. You can then verify the firmware versions match those listed above. Repeat Steps 3-4 for each camera you need to update. Note: The firmware update file will remain on the SD card even after your camera is updated. You can use this card to update all of your cameras without having to download the firmware again. To be sure you have the most current firmware with all the latest features and performance enhancements, load this firmware onto your HyperFire cameras. Click Here to download the Recnxsd2.bin firmware file to your computer. Along with the new Firmware is a new HyperFire Instruction Manual, download an electronic copy now. NOTE: ALL other HyperFire Models should use the standard HyperFire version (above). If you want to be sure you have the correct firmware with all the latest features and performance enhancements, you should load this firmware onto your Cellular HyperFire cameras. Be sure your camera has the Cellular Upgrade installed. Go to the "Camera Info" option on your camera and see which version of firmware is currently loaded on your camera. The top line of the Camera Info display will look something like this: V:3.0.1.20100409. The last 8 digits of the first line are the release date of the firmware. 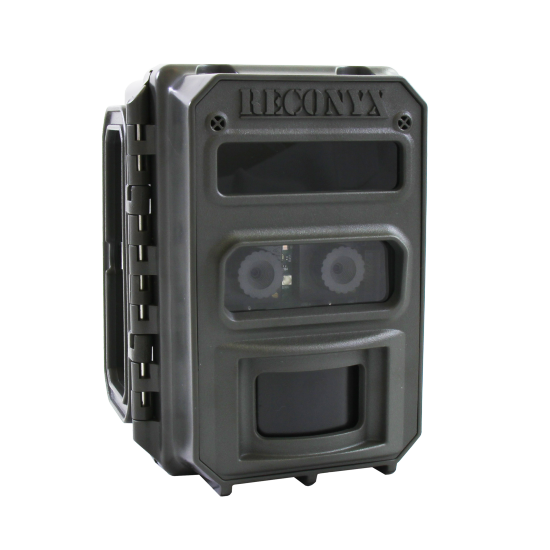 There is a firmware update available for all RECONYX RapidFire Cameras. If you want to be sure you have the most current firmware with all the latest features and performance enhancements, you should load this firmware onto your RapidFire cameras. Go to the "Camera Info" option on your camera and see which version of firmware is currently loaded on your camera. The top line of the Camera Info display will look something like this: V:2.3.0.20090112. The last 8 digits of the first line are the release date of the firmware (The current version is V:3.0.0.20111024). 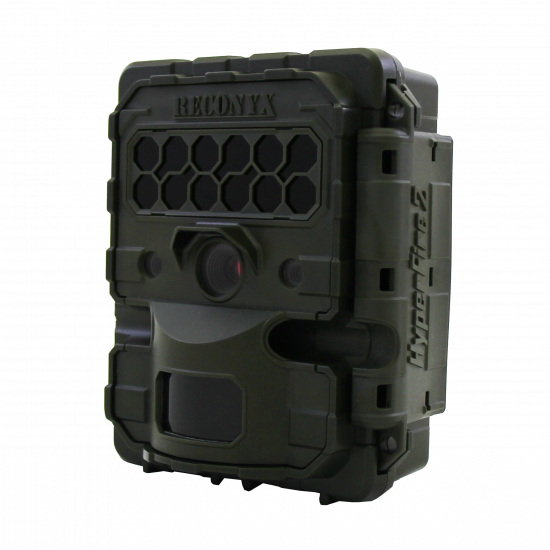 Save this RapidFire firmware update file to your computer (Reconyx1.bin). Locate the file on your computer and copy it to a blank CF card. With the camera turned OFF... Insert the CF card into your camera. Along with the new Firmware is a new RapidFire Instruction Manual, download an electronic copy now.